Best way to cope with rare disease! It's amazing how people with other types of rare diseases go through a very similar experience before getting their diagnosis, and the feelings are very similar. Maddie is a young girl who learned that there is great satisfaction in re-directing her illness towards helping others and raising awareness. 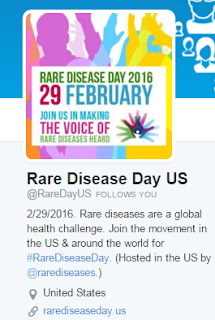 Thank you Maddie for setting an example of how to best deal with having a rare disease!